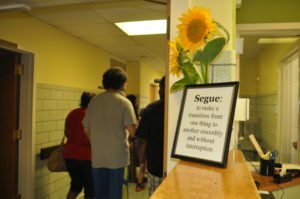 Segue is the result of innovative public-private partnerships that provide transitional living for patients being discharged from state psychiatric hospitals. The program consists of two 16 bed co-ed units located in two side by side cottages on the grounds of Springfield Hospital Center in Carroll County, Maryland. Segue provides a home like setting where individuals benefit from evidence-based practice interventions which help people manage their illnesses and develop independent living skills. In addition, staff provide intensive case management to assist individuals with entitlements and linkages to long term living arrangements and other needed community supports.